The Burmese vessel PAGO entering Tilbury. I have no more details and only assuming she is Burmese. The giveaway clue is the Burma Five Star Line “badge” on the bow. 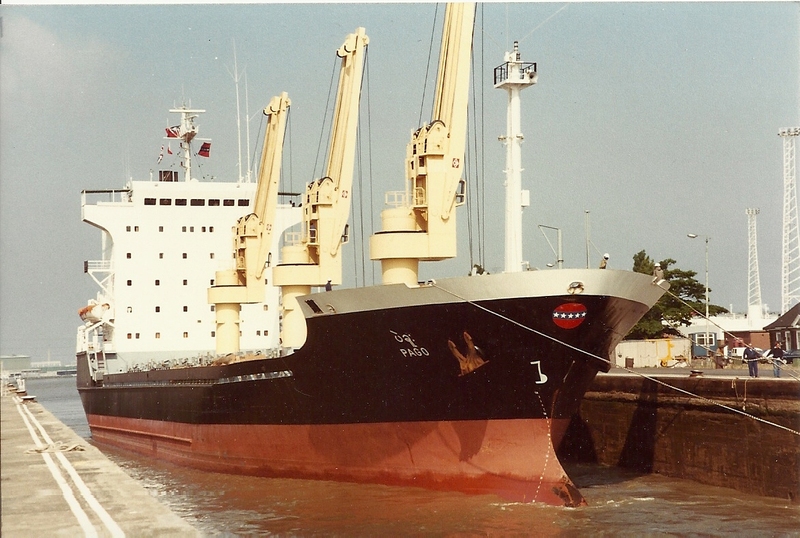 PAGO (10,097 tons gross) was a motor vessel that entered service for Burma Five Star Line in 1983. It was the latest in a succession of new vessels built for the state-owned company since the 1960s. To match the change of name of the country from Burma to Myanmar (and there were many other name changes), the company name was changed in 1989 to Myanma Five Star Line (note Myanma, not Myanmar), and the ship name was changed to BAGO. BAGO was broken up at Yangon in 2011 — a city previously known as Rangoon to the outside world.